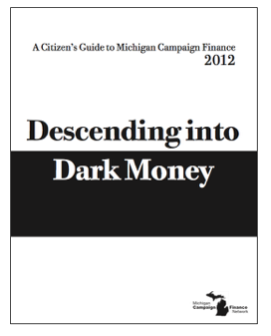 This document examines the money in Michigan's 2012 election. Campaign finances for Michigan’s 2012 state elections were unprecedented. Committees that were involved in state elections raised more than $209 million, easily breaking the previous state record of $135 million from 2006.